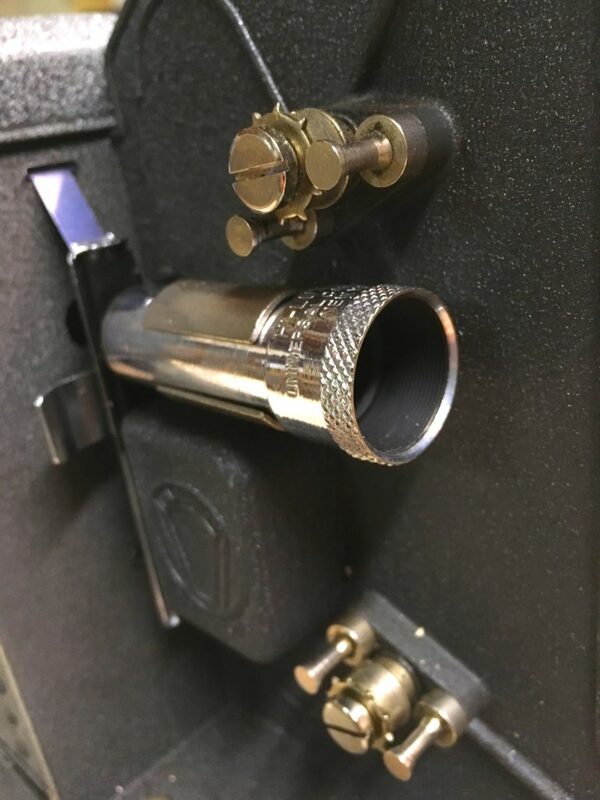 A few months ago, my wife and I found this beautiful old 8mm film projector at an antique flea market on Florida’s Gulf Coast. And it was very reasonably priced too. We thought it would look great displayed in our living room, and we were right! 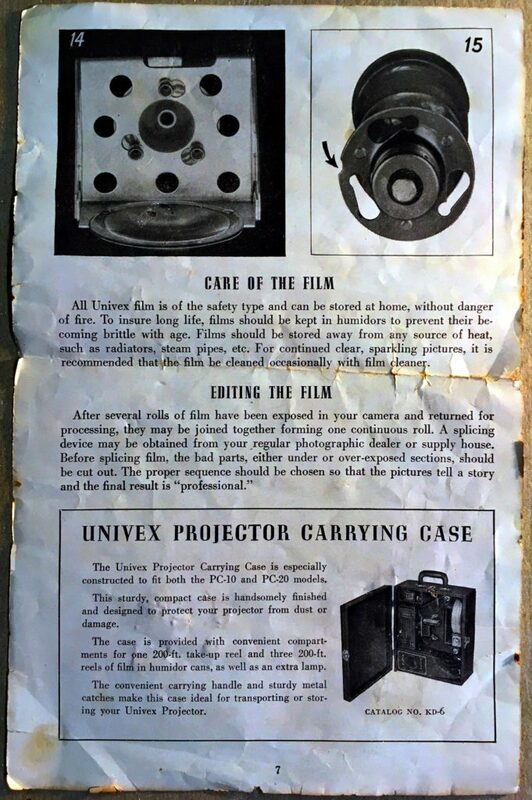 This vintage projector reminds me of my grandfather, Kurt William Leucht, who came to America when he was 18 years old from Germany. 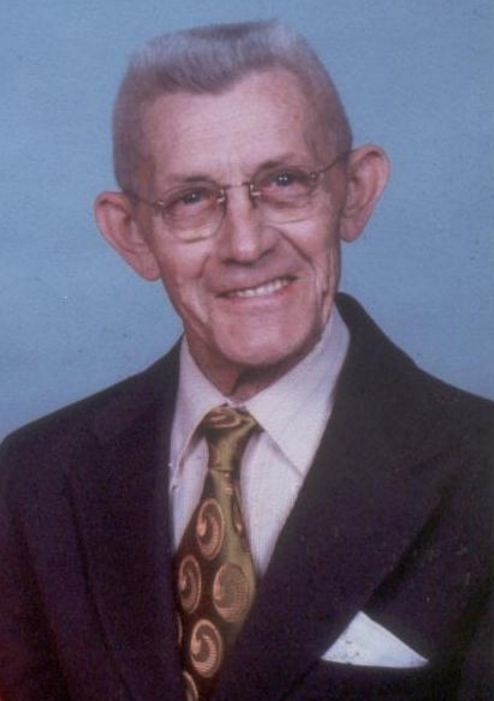 Grandpa Leucht was very artistic and creative. As an adult, he got really into making home movies with his family and with his friends. 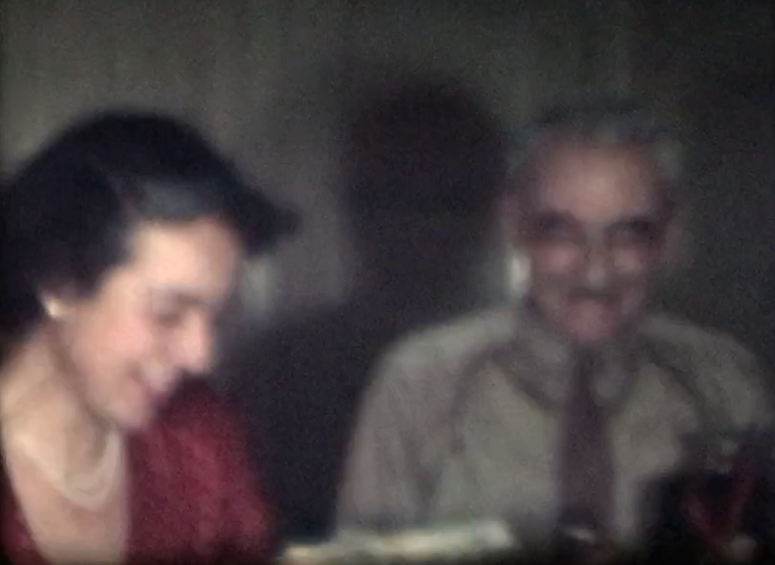 So my family has quite a bit of old 8mm film from my grandpa. 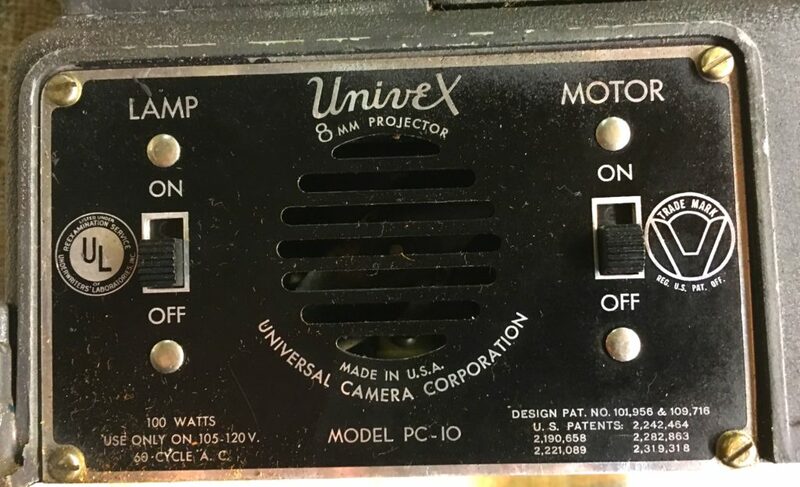 This projector is a a Univex model PC-10. There is no manufacture date on the unit. Most online references say that these were manufactured in the 1930s, but I found one site that claims manufacture in 1947. 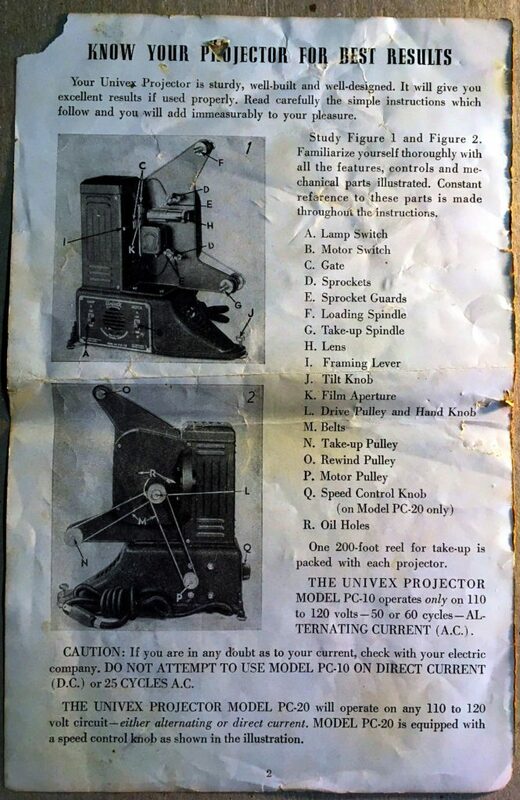 My grandpa was 51 years old in 1947, so he could have actually owned a projector like this one. The power cord was rubber and in very good shape, so I assume it had been replaced since the original cords were fabric covered. 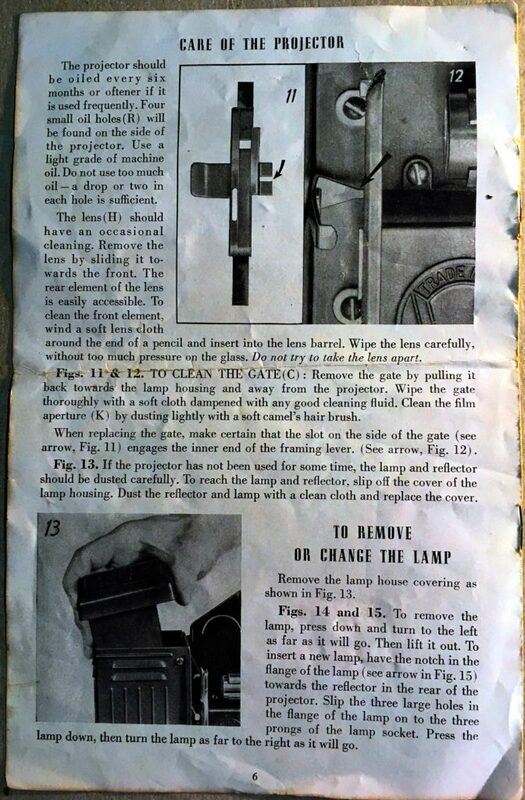 The motor worked fine and the lamp could not be tested since the bulb was burned out. I ordered a replacement bulb (BWY) online and it worked perfectly! 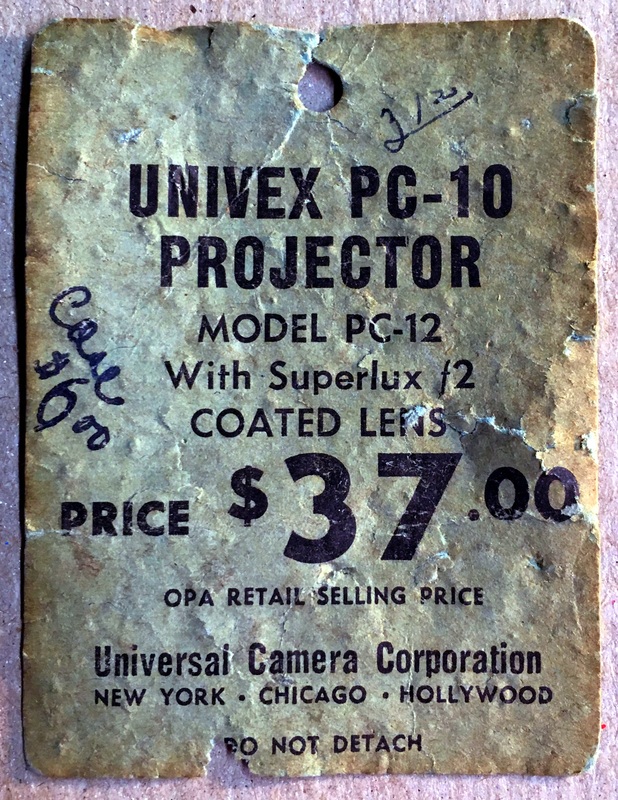 Surprisingly, this projector came with the original price tag from the manufacturer, Universal Camera Corporation! 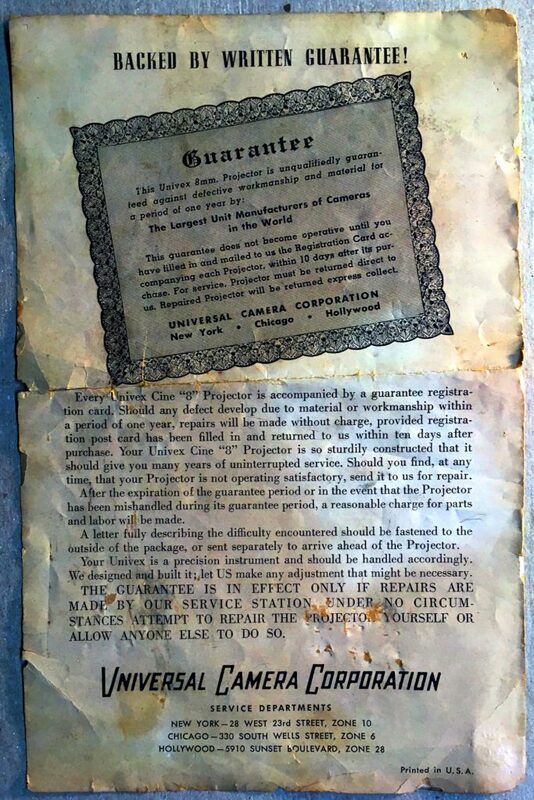 Universal Camera Corporation was founded in 1932 in New York. It manufactured still cameras, film, movie cameras, and binoculars until 1952, when the company declared bankruptcy. 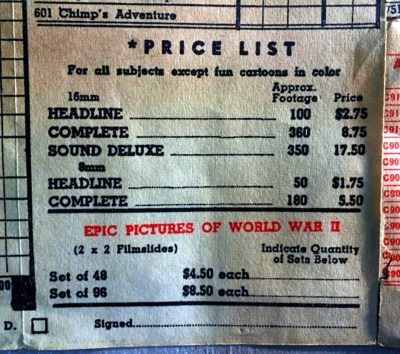 If we assume 37 bucks was the 1947 price, that would make the 2019 price close to $420. This projector is actually pretty simple to understand. 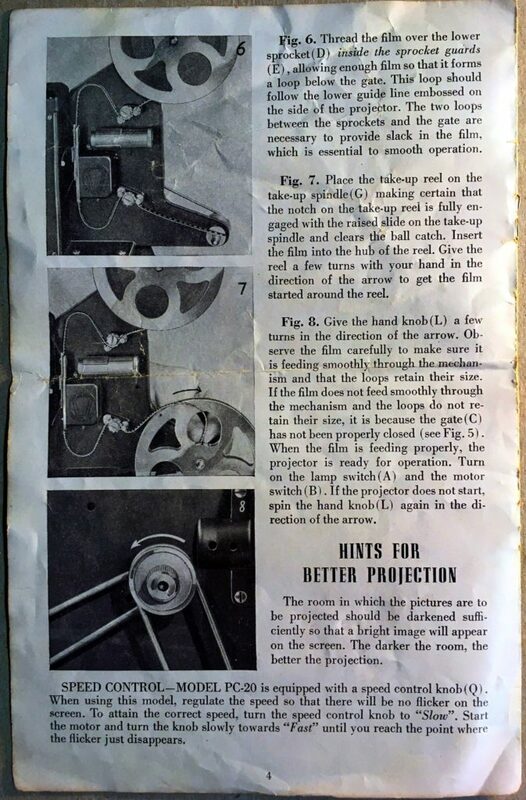 The sprocket at the top pulls the film off the reel and the sprocket at the bottom feeds the film into the temporary take-up reel. In between those 2 sprockets, the film is fed into a spring loaded gate which guides the film past the lens and the projector light. 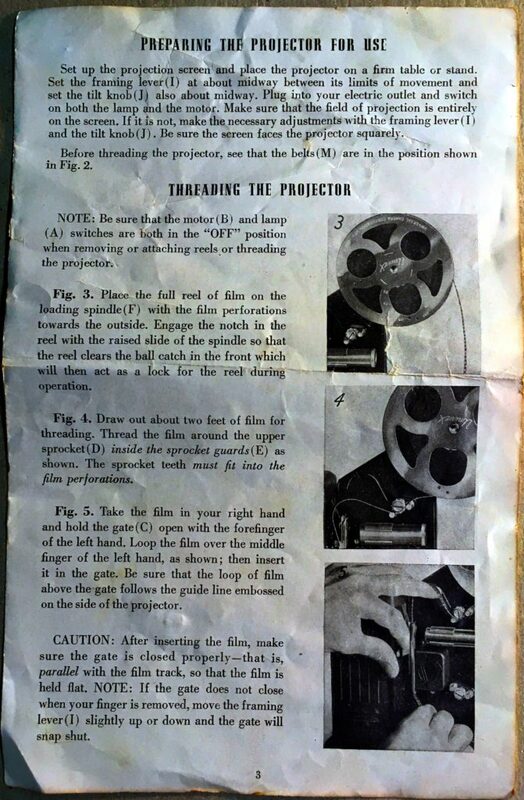 The film gets fed past the lens using a finger like gear that flips the film quickly to the next frame and then pauses while a rotating window opens up to let the projector light through. It’s really cool that the lens is only held in place by spring friction. This allows you to twist the lens ever so slightly while pulling it away from the film or towards the film to change focus. This design also allows the lens to be removed easily for cleaning. 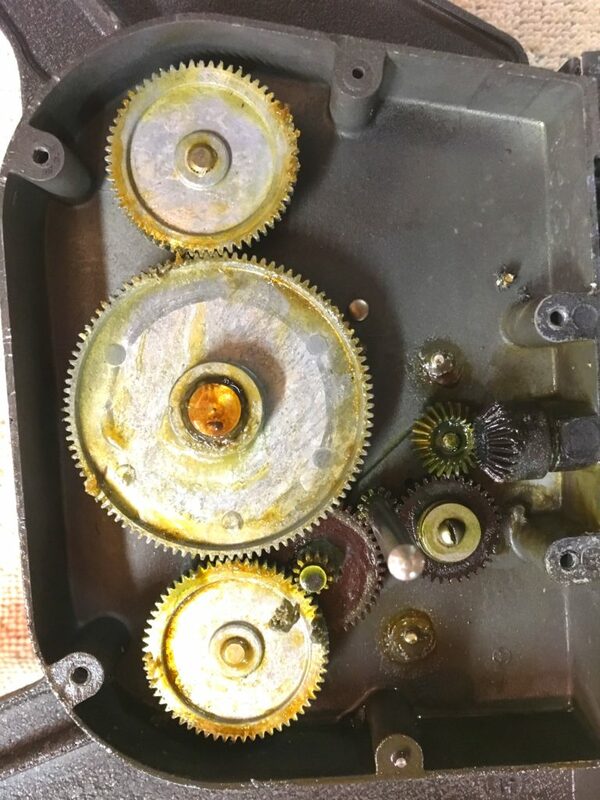 The internal gears were basically locked up due to aging and thickening of the original grease. But a single cover revealed the gear box and so I took apart each gear and cleaned and oiled them thoroughly. Once the gears were all cleaned and oiled with a light machine oil, the projector worked perfectly! The two belts that run between the motor and the gearbox and take-up reel were made from flexible steel springs, so they were still in perfect shape. Had they been rubber or some other material, they wouldn’t have lasted 70+ years. 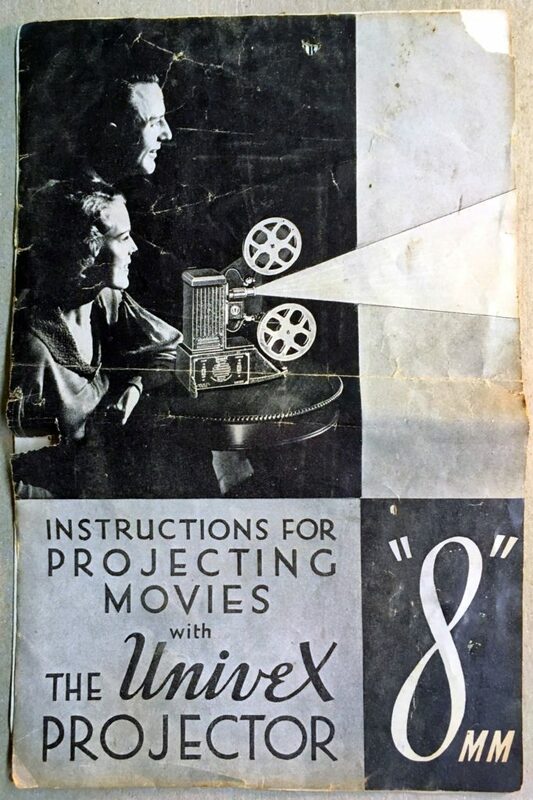 A complete instruction booklet came with this projector, although the pages were all separated from each other. 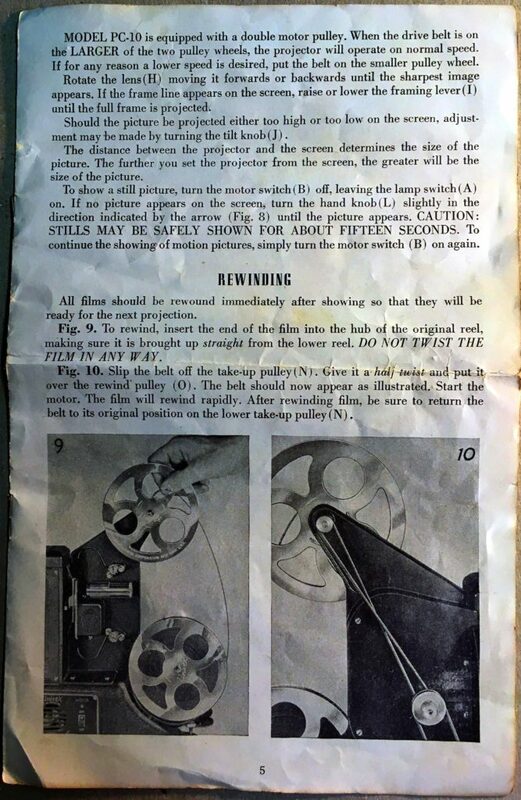 My favorite old-timey phrase from this instruction booklet is “Read carefully the simple instructions which follow and you will add immeasurably to your pleasure.” Love it! 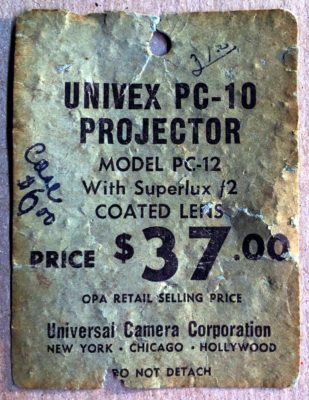 Another cool item that came with this projector was an old order form from 1946 that was used to order 8mm and 16mm films. 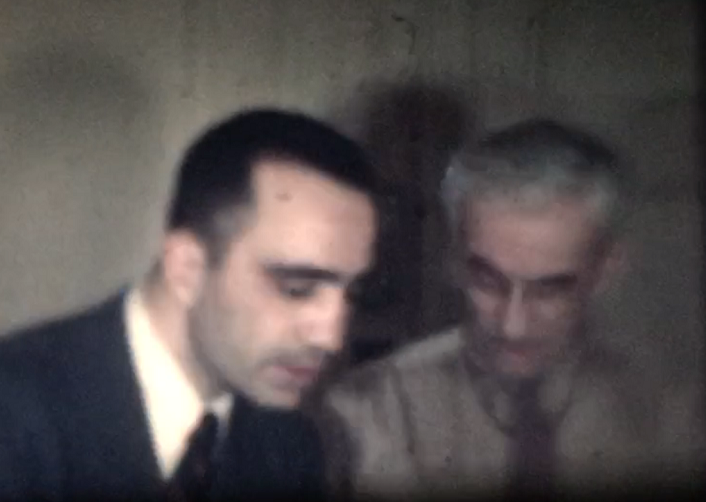 That probably dates this projector to 1946. 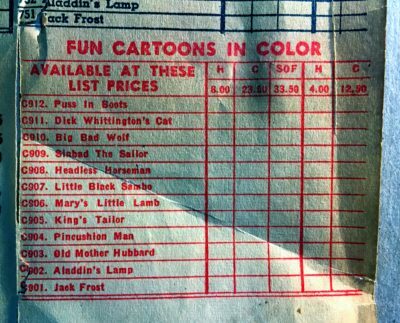 The film distributor was Castle Films, and the form just says to fill it out and mail the form to your local dealer. I’m assuming that local camera dealers probably kept the most popular reels in stock and ordered the rest as needed. 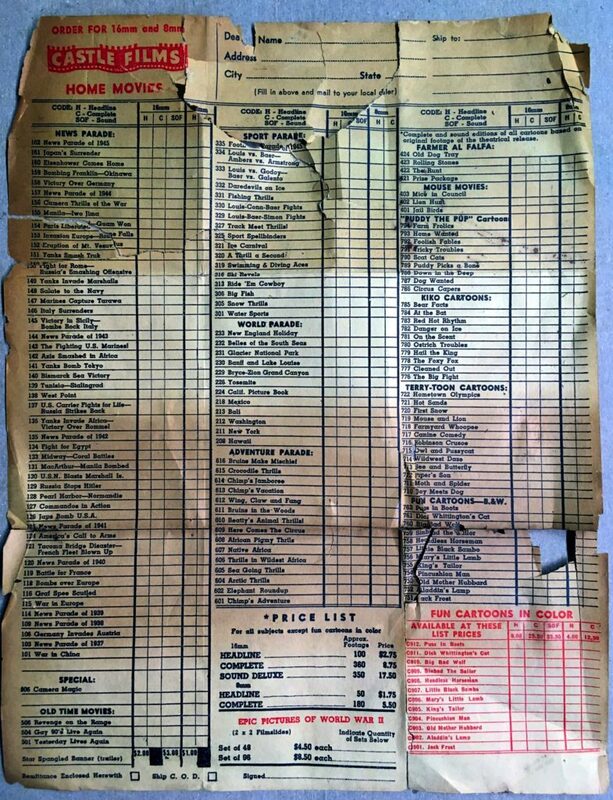 Apparently Castle Films was pretty popular back in the day. My favorite old-timey phrase on this order form is “Remittance Enclosed Herewith”. Awesome! 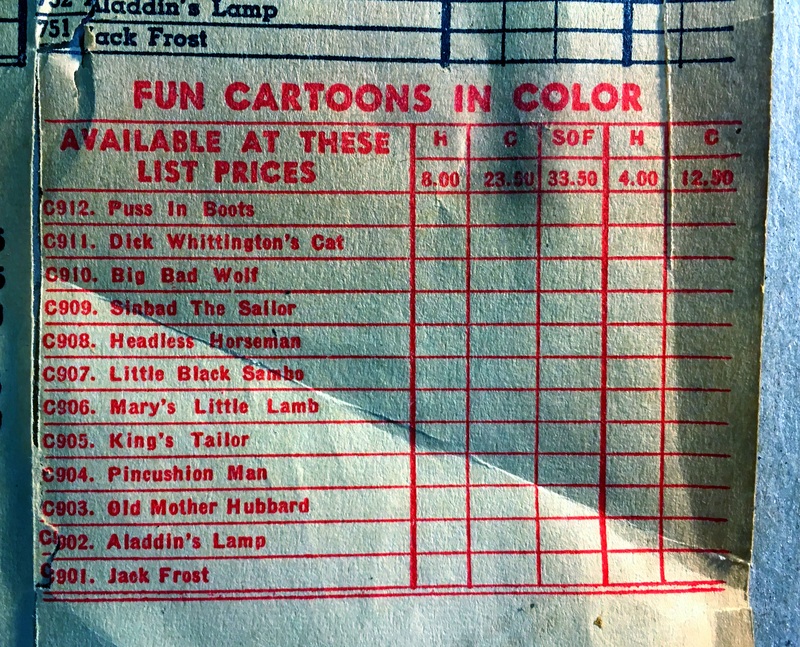 These film reels were all black and white except for a small selection of color cartoons. 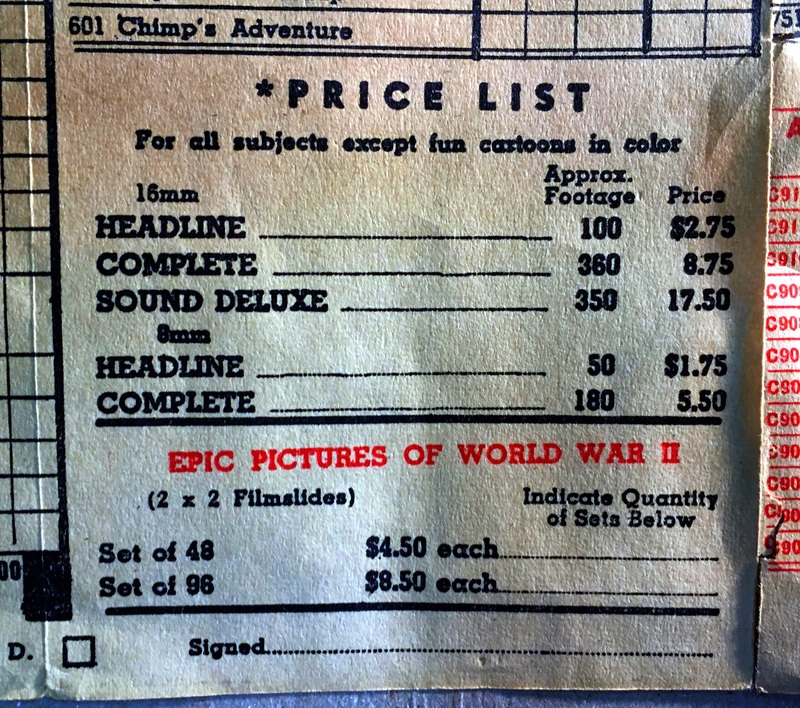 These Castle Films reels cost $1.75 for a 50 foot headline reel and $5.50 for a 180 foot complete reel. That’s more than 22 bucks and 71 bucks in 2019 money! Castle Films are still popular today and you can buy them on eBay for reasonable prices. Although depending on storage, the condition may be far from ideal. 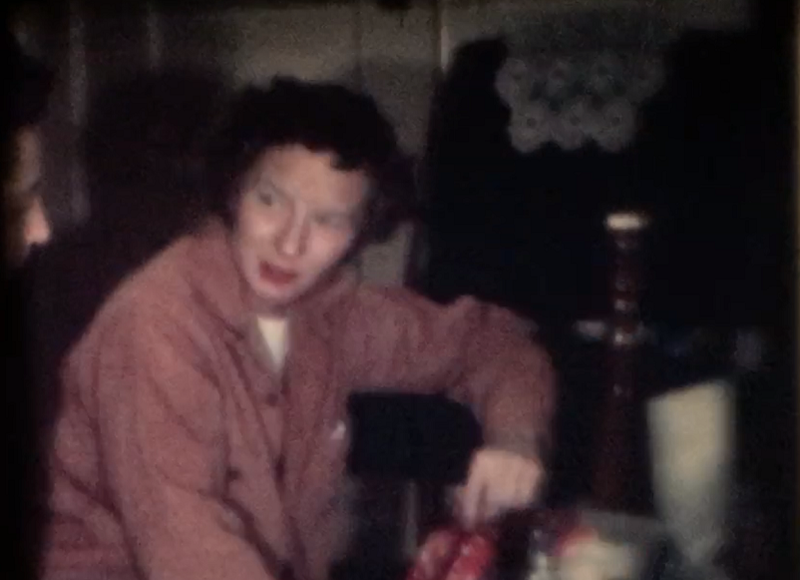 Film that was stored in a hot attic for 50 years will be brittle and will completely fall apart on you. 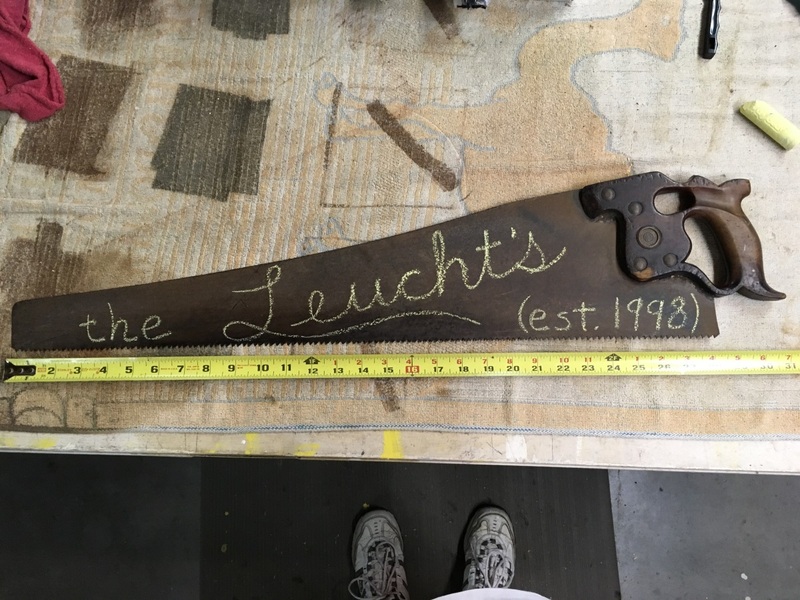 Turn an old antique hand saw into wall decor! A few years ago I bought an old rusty vintage hand saw at a local garage sale for 50 cents. I figured I would do something cool with it someday. What I decided to do was to make a welcome sign for our house. 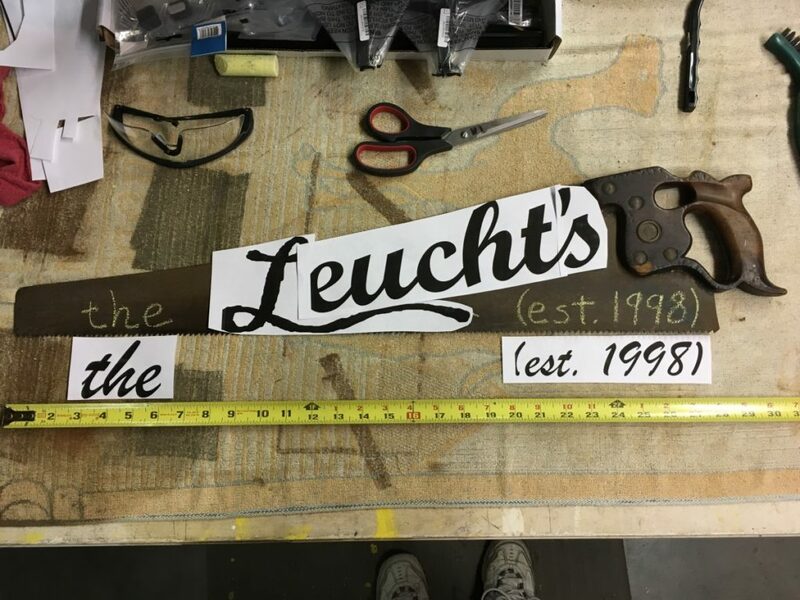 Using craft paint, I painted “the Leucht’s (est. 1998)” across the rusty blade. 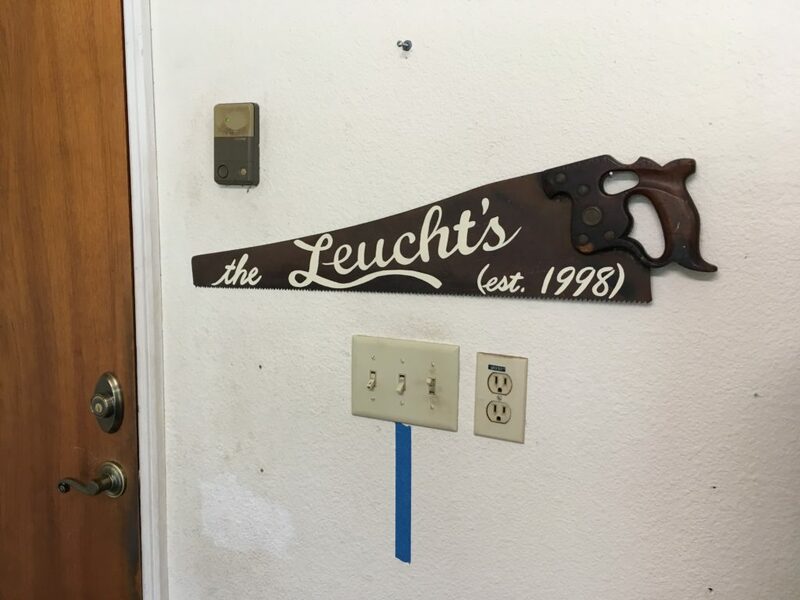 Right now it’s hanging in the garage, but we’re thinking about a couple other possible locations for it. Before painting, I needed to sketch it out and figure out the size of the letters that would look good. So I started with chalk, which is easy to erase and try again until the proportions were just right. The next step was to create a pattern or template, because painting letters freehand is not for the faint of heart. So I got on my computer and tried a few different fonts to find ones that I thought looked pretty good. It took a few cycles of trial and error before I got printouts that were close to the correct dimensions. Once the templates were ready, I used chalk again to transfer the outlines of the letters onto the blade. I just chalked up the back side of the template pretty good and then used a pencil to outline each letter which transferred a thin chalk outline onto the saw blade. Then I just painted between the lines. Easier said than done, I know. It takes a pretty steady hand and a lot of patience. These old antique saws almost always contain stamped metal medallions or label screws that identify the manufacturer. These medallions can also sometimes be used to determine the age of the saw. Here is a close up photo of the medallion on my saw. 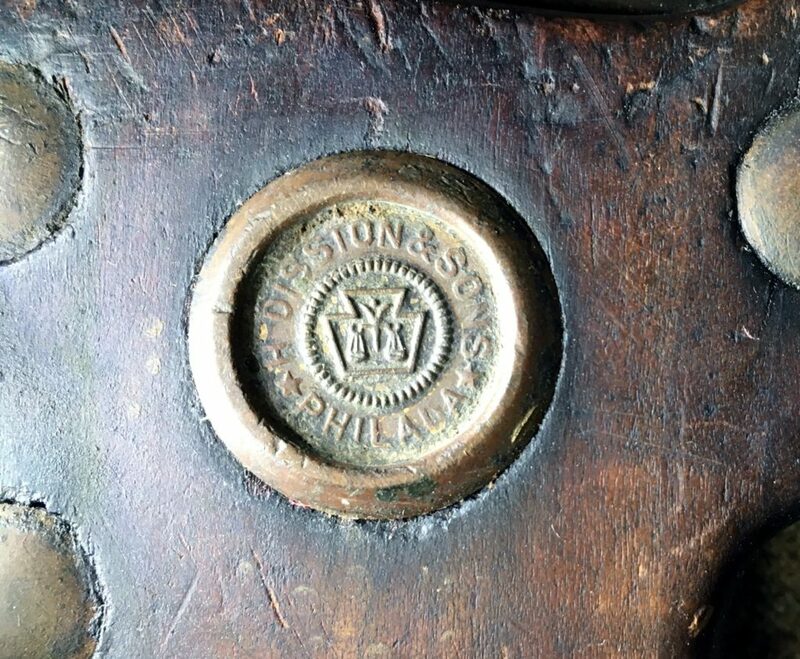 It says “H Disston & Sons, Philada” which is Henry Disston and Sons, a highly regarded handsaw manufacturer in Philadelphia. A quick Internet search revealed that this particular medallion design was used between 1896 and 1917! This saw is over a hundred years old! That’s pretty cool! Christmas Presents: Do you know these people? Are they your relatives? 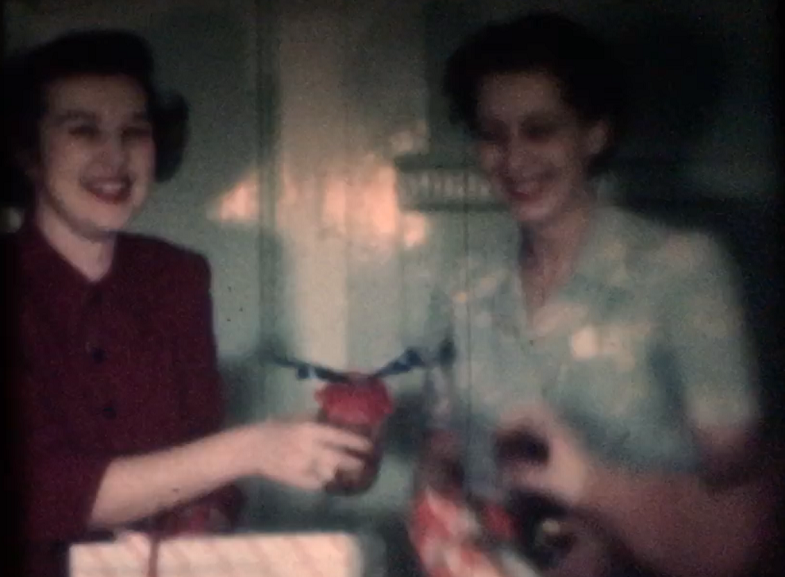 The people in this video are opening Christmas presents probably in the 1940s or 1950s! Do you know these people? Are they your relatives? 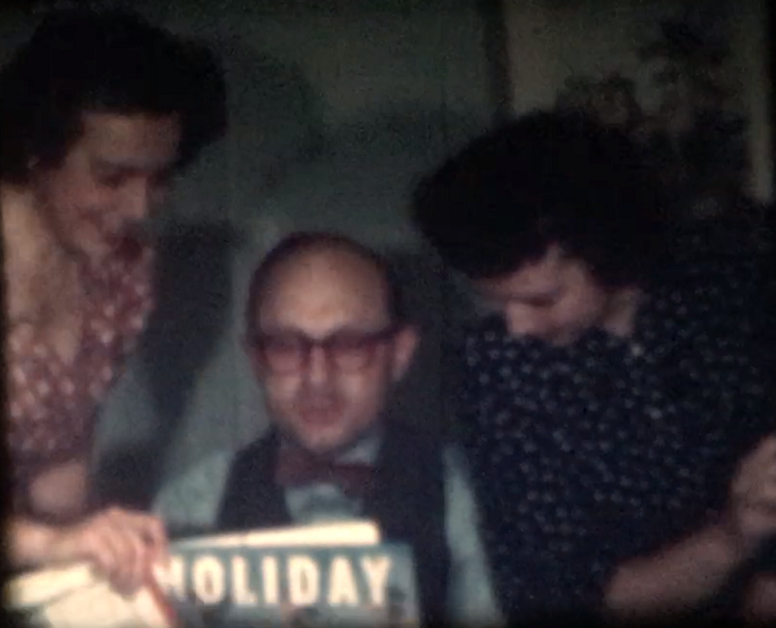 We bought this old 8mm film at an antique flea market in Central Florida recently. 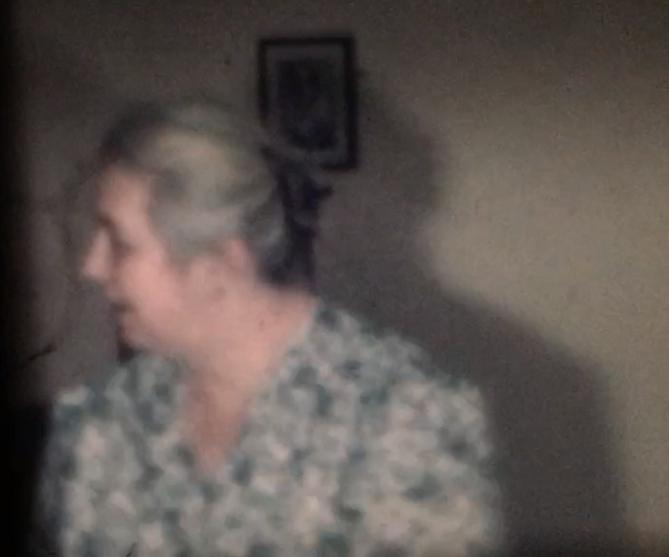 I thought it would be fun to publish the video online just to see if anyone noticed their relatives in there. Feel free to share this video! 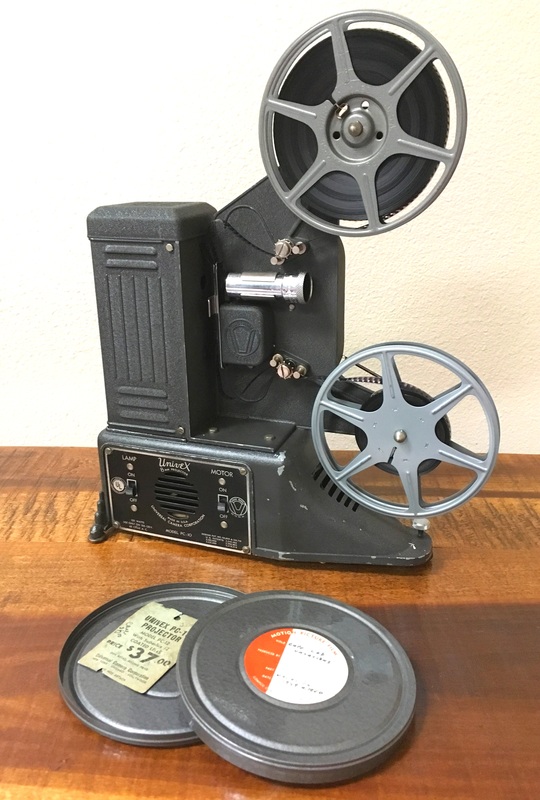 Click the Email Us link at the bottom of this website or add a comment below and tell me if you think you may know who this old 8mm film belongs to! The premise was that life didn’t start on Earth and they were actually searching for this “legendary” planet called Earth. 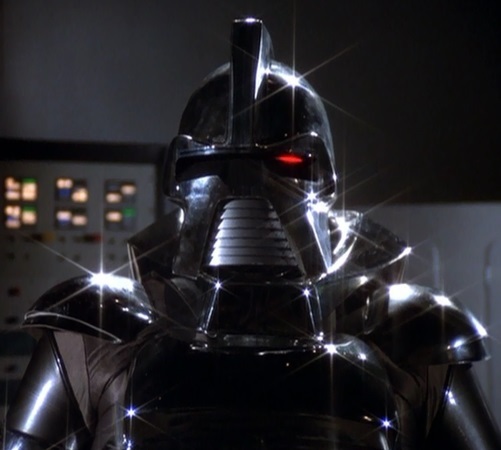 The show has 6 foot tall Cylons with one red eye moving side to side, which was also used for K.I.T.T. 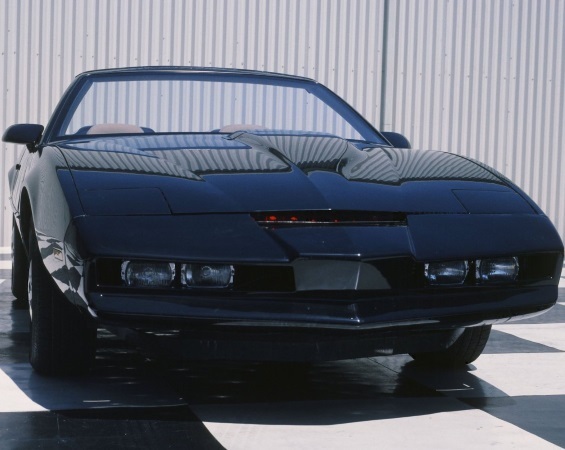 in the 1982 TV show Knight Rider! Both shows were written by Glen A. Larson, along with The Fall Guy and Magnum P.I.! 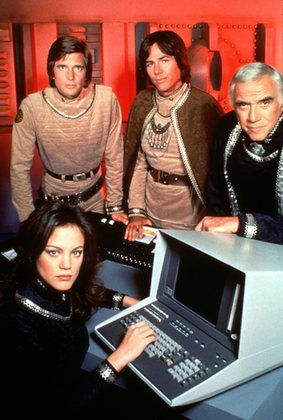 The most futuristic and advanced computer imaginable, the Tandy (Radio Shack) TRS-80, was used onboard the ship! 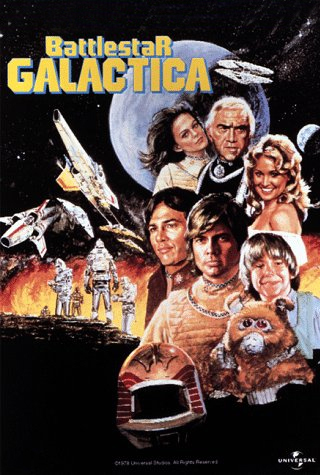 Why do you love Battlestar Galactica (1978)? Post your reasons below in the comments! This simple introduction to AppleSoft Basic is demonstrated on my working Apple IIe from 1983. It’s meant for beginners, so it doesn’t dive deeply into any one topic. Scroll down to the bottom of the GitHub page to click on the release link to download the zip file. Admin rights are not necessary. Just unzip the file and run the executable. Then click the Disk 1 button and choose the default (master) file. Then click the Apple button to boot up!